Enthusiasts of strategic studies will be familiar with the tripartite, quasi-mathematical equation of ends, ways and means. 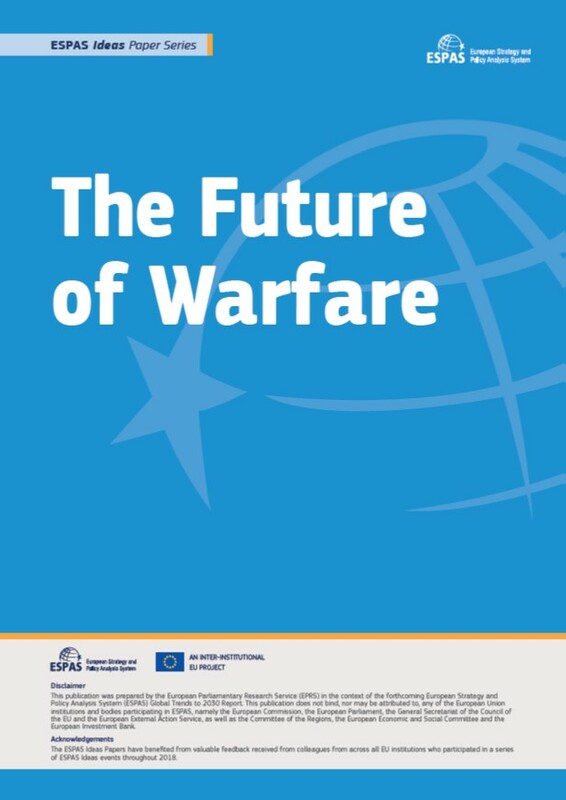 Over a period of 18 months or so – beginning in June 2016 with the publication of the EU Global Strategy (EUGS) and culminating with Permanent Structured Cooperation (PESCO) in December 2017 – the European Union has made strides on both ends and ways for greater cooperation in the area of defence. On ends, the EUGS has made clear that while Europeans ‘live in times of existential crisis’ the EU aims to improve security, democracy and prosperity and to invest in the resilience of states and societies in its wider neighbourhood in an integrated manner, while also supporting cooperative regional orders and a rules-based global order. On ways, the EUGS indicates that the Union must develop full spectrum capabilities as part of its overall approach to foreign and security policy and it must ‘systematically encourage defence cooperation and strive to create a solid European defence industry’. On means, however, there is still some way to go before the EU has the defence capabilities required to meet its strategic objectives. 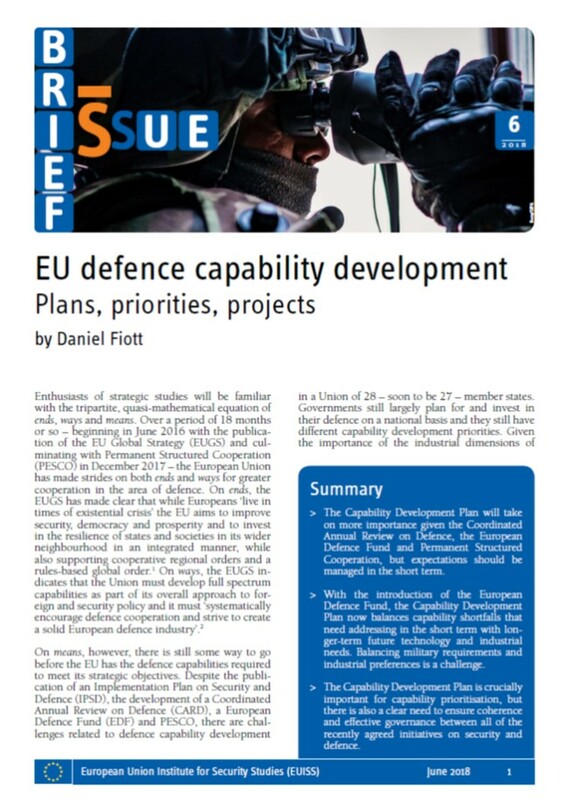 Despite the publication of an Implementation Plan on Security and Defence (IPSD), the development of a Coordinated Annual Review on Defence (CARD), a European Defence Fund (EDF) and PESCO, there are challenges related to defence capability development in a Union of 28 – soon to be 27 – member states. 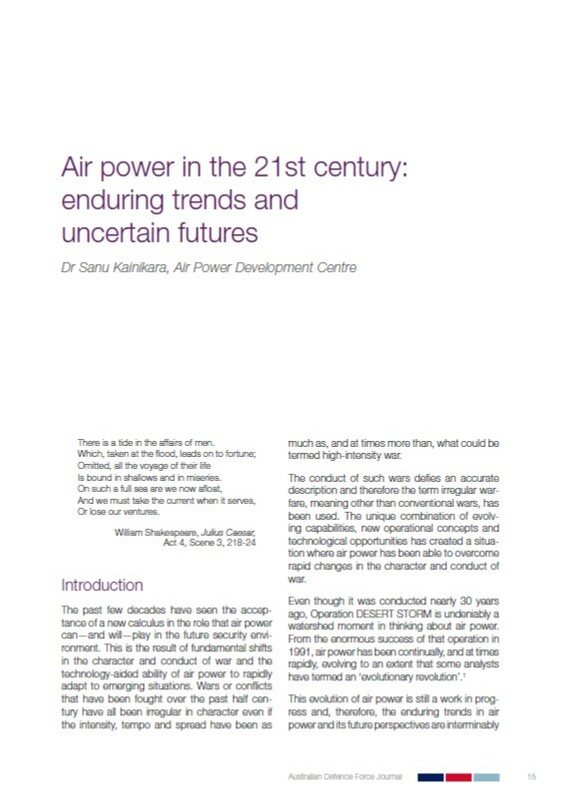 The past few decades have seen the acceptance of a new calculus in the role that air power can - and will - play in the future security environment. This is the result of fundamental shifts in the character and conduct of war and the technology-aided ability of air power to rapidly adapt to emerging situations. Wars or conflicts that have been fought over the past half century have all been irregular in character even if the intensity, tempo and spread have been as much as, and at times more than, what could be termed high-intensity war. In this paper, we consider the main objectives of GPV 2027 (gosudarstvennaia programma vooruzheniia, Russian for "10-year state armament programme") and examine whether Russia’s financial and defence-industrial capabilities are sufficient to meet them. We then consider how the Russian armed forces are likely to be equipped by the mid-2020s, should the main objectives of GPV 2027 be achieved. Although the programme itself is classified, enough details have entered the public domain – for instance, through statements by officials, news reports, federal budgets and draft budgets – for educated inferences to be made as to its broad contours, likely priorities and strategic direction. Such assessments are the basis of this paper. The emergence of the People’s Republic of China as an increasingly significant military power in the Western Pacific presents major implications for Japan, the U.S.-Japan alliance, and regional security. But a comprehensive assessment of the current and possible future impact of China’s military capabilities and foreign security policies on Tokyo and the alliance, along with a detailed examination of the capacity and willingness of both the United States and Japan to respond to this challenge, is missing from the current debate. Such an analysis is essential for Washington and Tokyo to better evaluate the best approaches for maintaining deterrence credibility and regional stability over the long term.